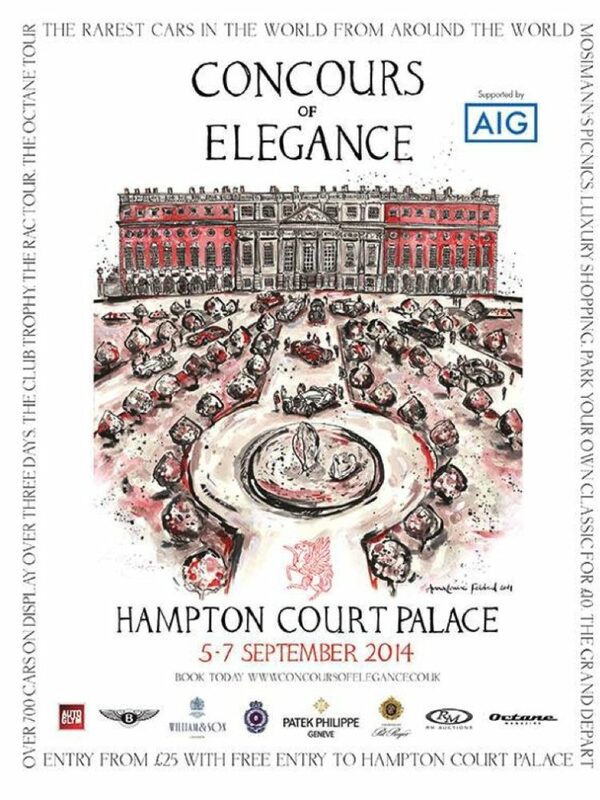 In just three months time, the third international Concours of Elegance will take place at Hampton Court Palace on 5-7 September 2014, with 60 of the rarest cars from around the world – many of them never seen before in this country – set to grace the Fountain Gardens on the East side of the historic Palace grounds. Around a third of these exceptional hand-picked Concours cars will be shipped over from the USA specifically for this prestigious event. A further third will arrive from the rest of the world, with the balance made up of some stunning UK-based cars. Visitors to the 2104 Concours of Elegance can look forward to seeing a truly diverse range of motor cars on display, spanning 1896 right up to 2014, with sublime examples of most key car marques present, ranging from Alfa Romeo through to Zagato, including rarely seen models from Aston Martin, Bentley, Bugatti, Delage, Ferrari, Hispano-Suiza, Jaguar, Lancia, Maserati, Porsche, Rolls-Royce, Talbot-Lago, and many others.